The only question that matters: Am I present at this moment? The only true cause of upset is losing yourself in the world or in your mind. Mastery arrives when there is total attention to Being without a secondary motive. At the Source of Being is rich with insights and inspiration for integrating your “presence practice” into every aspect of daily life. Includes a helpful question-and-answer session with retreat participants. 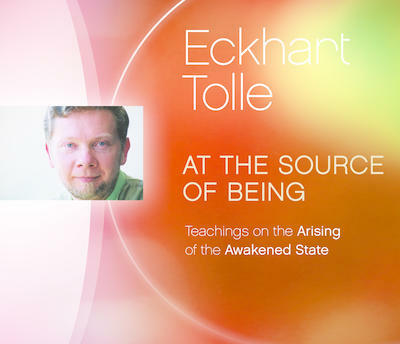 Recorded on retreat in Australia, At the Source of Being presents five teaching sessions with Eckhart Tolle to help us realize the deeper purpose of humanityto live in the world anchored in the awareness of our essential nature. Exploring a range of topics including awakening from the dream of reality, dealing with the pain-body, transcending the psychological need for time, and much more, this in-depth program brings you more than seven hours of Eckharts one-of-a-kind guidance.